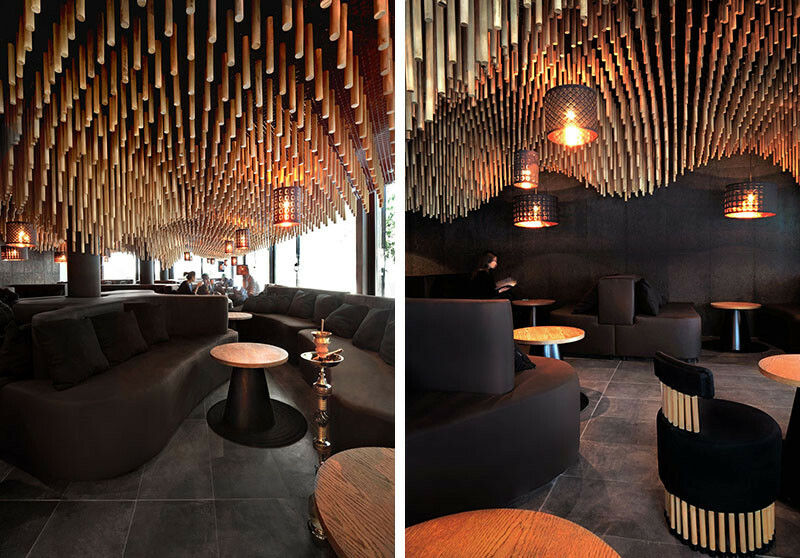 Designers at KMAN Studio, were asked by their clients in Sofia, Bulgari, to create a space for their bar that was a bold contemporary interpretation of a traditional hookah bar. 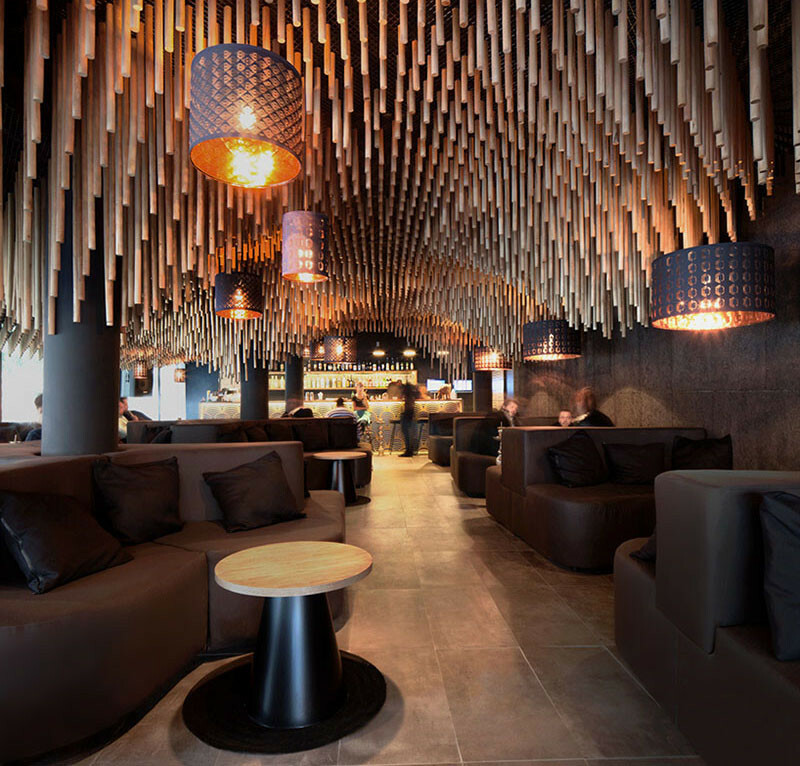 To create a unique look, the designers decided to cover the ceiling of the bar, named Nargile, in 7456 wood dowels. 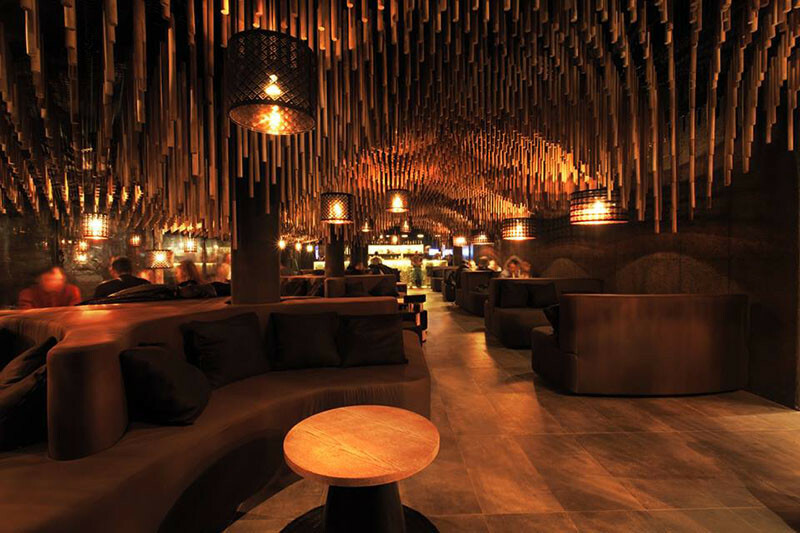 At night, the space becomes somewhat magical, with lanterns hanging above organically shaped seats.